“The hospital is saying that if we need a lower payment, we have to take out a loan.” I wouldn’t have believed it myself, but that statement came from my client. I actually was at a loss for words. “So, if you do not make the minimum payment the hospital has set you up with on the “plan” they won’t accept any payment at all?” Apparently, that is what the hospital told them. So, what to do if you are faced with this issue? Let’s talk about it. First of all, the hospital is not required to carry your debt balances. They can decide that they will make payment plans with patients, provided the debt is paid in 12 months, or 6 months, or whatever. 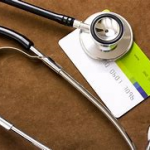 To be honest, medial providers of all types, private doctors, hospitals, labs, etc, are often very quick to turn an outstanding medical debt to collections. It is that fear of collections that can cause consumers to make mistakes in handling these debts. About 18 months ago, on September 15, 2017, the three credit reporting agencies, Equifax, Experian, and Transunion changed the way they report medical collections on the consumer’s credit report. These changes were designed to help consumers who are paying medical bills on a payment plan or are waiting for insurance to pay some or all of the outstanding debt. I wrote about this briefly in an earlier article, it is not unusual for insurance claims to be filed with errors, and payment is delayed. What to advise my client? Well, if you cannot afford the payment, and it was a very large payment, the bill will probably be sent to collections, but until it is, make your lower payment amounts to the hospital. Do not stop paying because you cannot afford the amount they are asking. And I gave them the same option I am going to share here. These are the things to consider if your hospital is threatening to send you to collections because you cannot afford their plan. First, DO NOT take out a loan or put the balance of a medical debt on a credit card. It changes the “character of debt” from medical to “personal loan” or “credit card debt.” The reporting agencies will not report a medical collection on the consumer’s report for 180 days, that’s six months, after the account is sent to collections. This gives consumers six months to pay the debt in full. If you change medical debt to anything else, you are adding interest, and any late payment can be reported. Second, many medical collection accounts can be removed, once they are paid. In certain scoring models used by creditors, paid medical collection accounts do not factor in at all, even if the paid debt is not removed. Third, there will be more flexibility to lower your payment each month with a collection agency. Collectors want a payment. Period. If it takes longer than six months, see above. 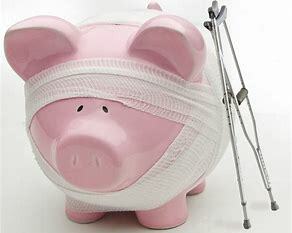 Fourth, do not make the medical debt payment at the expense of any of the family’s “four walls.” Food, utilities, rent or mortgage, and transportation are the priorities with your income. PLEASE do not put your “FICO” in front of the electric bill or pay the debt before you get food in the pantry. The last little tidbit of news here is that the credit reporting agencies must remove any medical collection account within 45 days after it is paid in full by insurance. As I said earlier, mistakes in claim filing, not by the consumer, but by the provider, can delay payment beyond the six months.